An evolution of the Speedster series, the Surfmaster was inspired by CB's local beach spots. It summons images of surf, sand, sun and good vibrations. #1459, this double-bound pine-bodied Surfmaster has a transparent cream nitro finish, maple neck and rosewood fingerboard. TV Jones Magna-tron pickups with a volume & tone control for each, and a super smooth & responsive Wilkinson tremolo. Gotta love those teacup knobs, and check out that gorgeous tortoise binding! 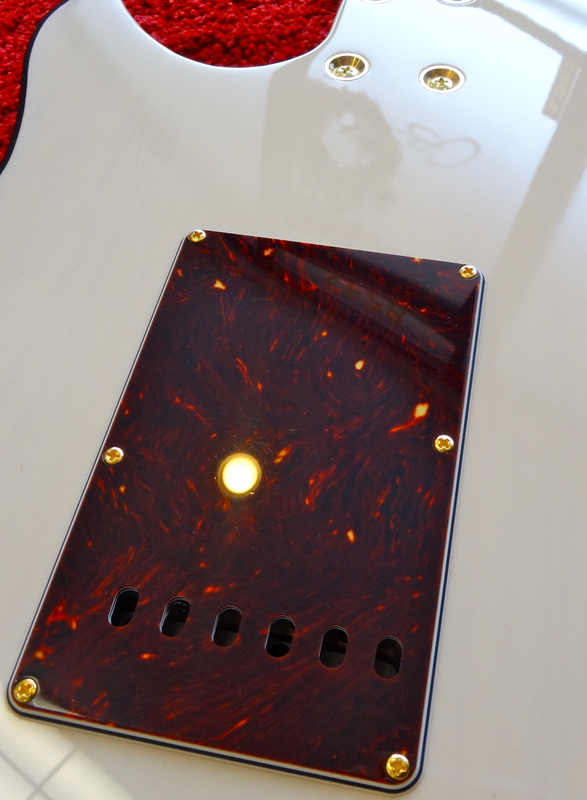 The vintage Tele style knob on the 3-way switch contrasts nicely with the deep tortoise pickguard. The "fit & finish" on this one came together nicely. That TV Jones sure can make a beautiful pickup! Since the binding won't twist around the low-profile heel, CB devised an elegant solution for stopping and starting it. There's so much depth and warmth to the finish, and you can just see the grain of the one-piece pine body. Revitalizing a Southern California classic with this headstock shape, and CB's minimal-friction nut keeps the strings moving! 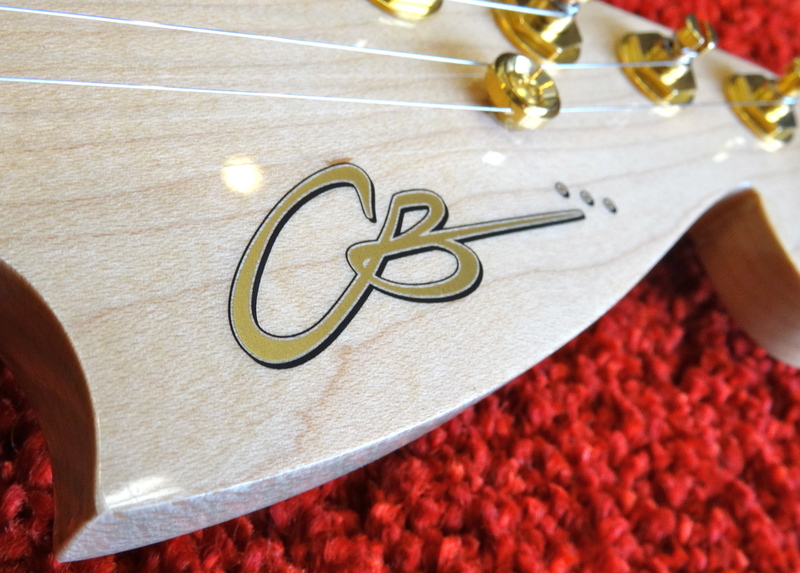 Our new logo looks great on this headstock! These Sperzel Sound-Lok tuning machines are marvelous: solid yet minimal, beautifully machined and super stable! That subtle V-shaped headstock transition is a joy to behold, and it feels even better in the hand.